What happened to the Lake? 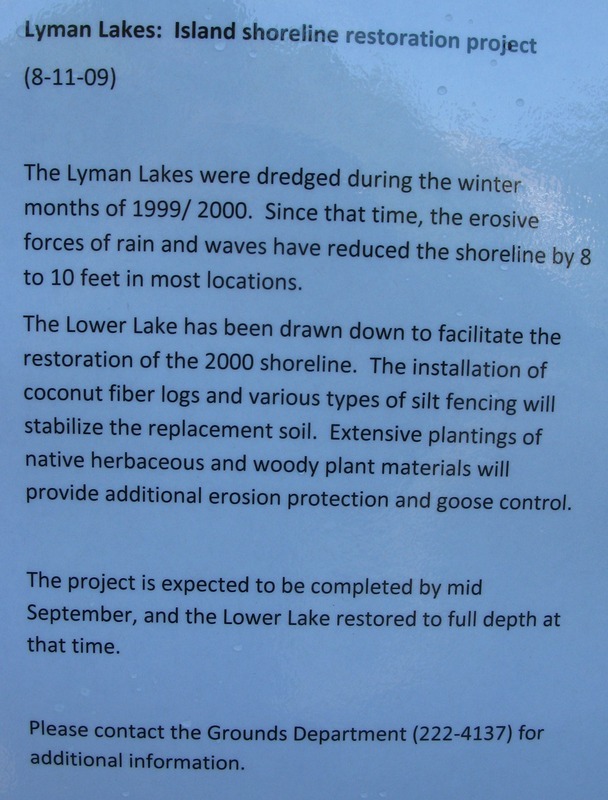 Wednesday, August 12, work began on the Lower Lyman Lake/island shoreline restoration project. The first step was to drain the lake. 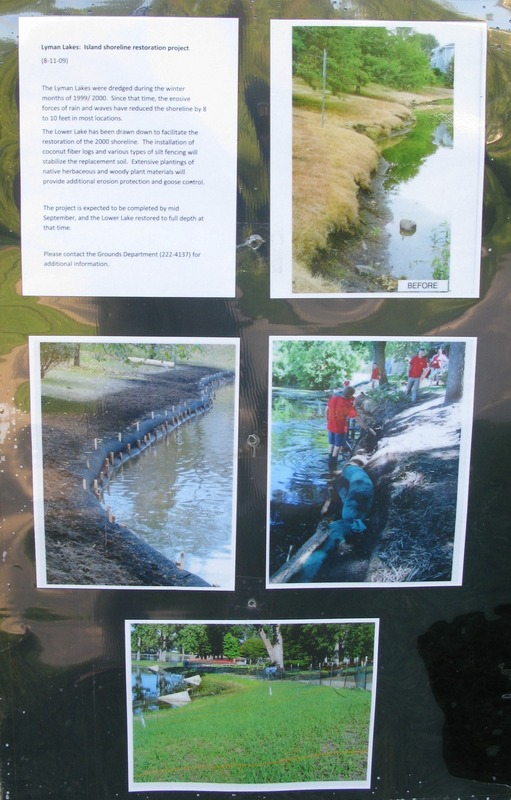 Then the shoreline will be re-established with erosion control materials, planted, and back filled with soil. We expect to replug the dam and return to full depth of water by the time students arrive on campus. If you have any questions about this project, please call x4137.